Call Us Today for Scrap Metal Recycling! Mark’s Auto & Truck Inc. pays top money for all junk automobiles and junk trucks. Do you have metal you are looking to recycle? Are you looking to turn some of that scrap metal into cash? 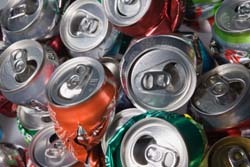 Are you wondering, “How am I going to sell my car in the Ocala, FL area?” Do you have a pile of aluminum cans at home that you need to get rid of? Established in 1993, Mark’s Auto & Truck Inc. has over 20 years of recycling experience. 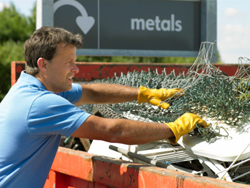 We recycle a variety of products, including scrap metal, aluminum cans, junk trucks, and more. If you are looking to receive top dollar for all your scrap metals, stop in today! All recycling centers are not the same! Whether you need aluminum can recycling, scrap metal recycling, junk car recycling, copper or copper wire recycling, brass recycling, or lead recycling, we pay good money. 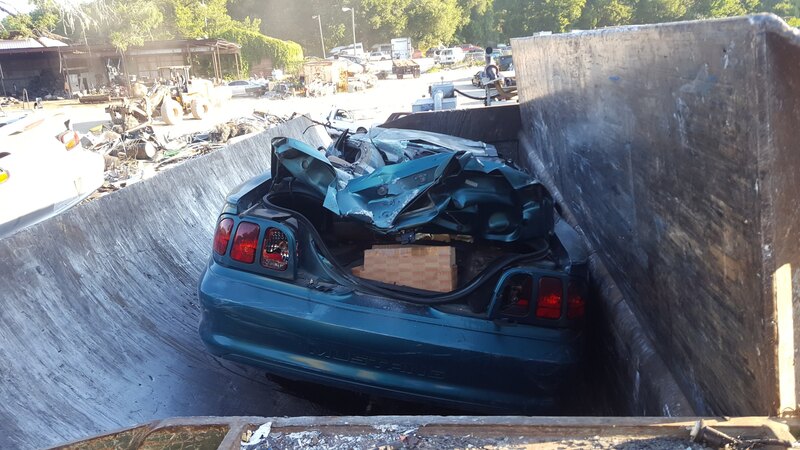 If you are looking for a place to junk a car in Ocala, FL, junk it at Mark's Auto & Truck Inc. Commercial containers are available for those large jobs and for junking your car or truck. 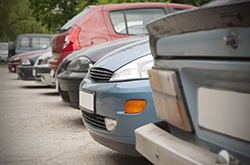 Do you have an unwanted car or truck? 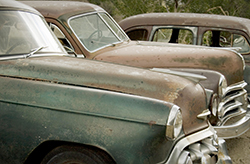 We will accept your used old car or used automobile parts, even if it’s not running! 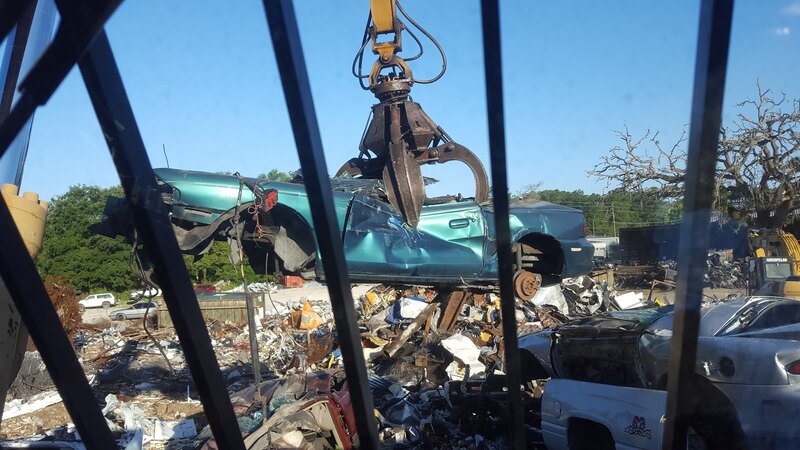 We can tow junk cars or trucks directly to our salvage yard. Call us today for details on how to sell your car or junk a car with hassle-free service, or simply drive your own vehicle (assuming it still runs) down to our recycling center! We Offer Used Automobile Parts! Recycling is extremely important, and it’s one of the best ways to do your part for the environment. When you recycle, you allow durable materials (scrap metal, aluminum, used automobile parts) to be reused repeatedly. Reusing these products means that we spend less energy making brand-new products with brand-new materials. Less energy used means less carbon in the atmosphere and less pollution in our air, rivers, earth, and oceans. Everybody wins! 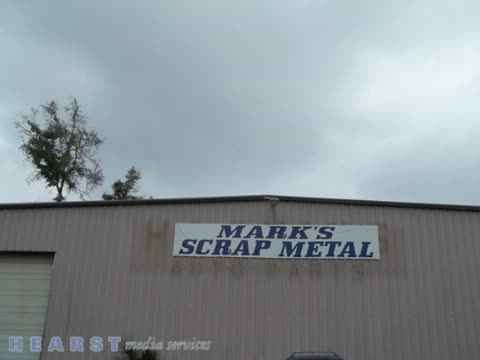 At Mark's Auto & Truck Inc our goal is to be the best auto and truck recycling operation in the Ocala, FL area. Our plan to accomplish this goal is by providing quality used automobile parts at a great price along with superior customer service. You’re guaranteed to find the best value on the market today. We’re dedicated to keeping our inventory stocked with used automobile parts, keeping our prices low, and keeping our customers happy. Plus, recycling – whether it’s junk car recycling, junk truck recycling, aluminum can recycling, used automobile parts recycling, or scrap metal recycling – is good for your pocket. We provide great prices for all of the products you bring to us to recycle. Bring us that stockpile of aluminum cans you’ve been saving or the miles of copper wire from your last renovation. We’re happy to take it all! Even better, our staff is courteous and well trained. Everyone here loves answering your questions. We are proud to serve the community with top-notch recycling services. 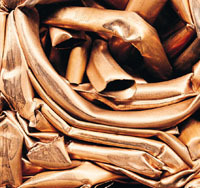 We will clearly explain what types of metals you can recycle and how much we’ll pay for them. We also have the know how to handle all kinds of metals, construction materials, industrial materials, and more. In fact, our service is so good that we regularly serve customers from as many as 100 miles away from Ocala, FL! We are your one-stop shop for your aluminum can recycling, metal recycling, and more. For large loads, call for current pricing. Market prices change daily, so call ahead if you are curious about the day's recycling prices. We'll provide all the necessary information right away. We look forward to seeing you here at Mark’s Auto & Truck Inc. Stop by today or give us a call for drop-off or pickup of commercial containers. And there is no need for you to continue to wonder, “How can I sell my car that doesn’t run?” We buy junk cars and trucks across the Ocala, FL area and will even pick up your vehicle for you. We are your one-stop recycling shop, so stop in or call today. Aluminum Products, Copper Wire and Other Copper Products, Brass, Lead, Old Cars, Junk Cars, Scrap Metal, Other Types of Metal, Aluminum Cans for All Your Commercial Jobs.